home » Blog » Is purchasing a new press brake not in the budget? Is purchasing a new press brake not in the budget? Purchasing a press brake is a major investment. What if your customers expect higher quality due to a wider range of products, you have change the tools in your press brake more frequently. If your existing press brake cannot accommodate this requirement, it becomes the bottleneck in your production process. How can you overcome this hurdle? There are a couple of options if your current situation is causing delivery back logs, missed orders, limited capacity, and lost flexibility. One solution is to purchase a new press brake, which is often supplied with fast, modern tool change systems. However, this usually requires a large capital investment, extra space, and new personnel. A more economical and equally effective solution is to invest in WILA tool changing technology. This investment will enable faster tools changes and increased output with your existing press brake – smaller batch sizes and just in time production. Additionally, a new tool-change system results in increased accuracy. WILA makes it possible to upgrade (‘retrofit’) your existing press brake with a New Standard tool change system (both top and bottom versions). This means you can quickly improve productivity without having to purchase a new press brake. 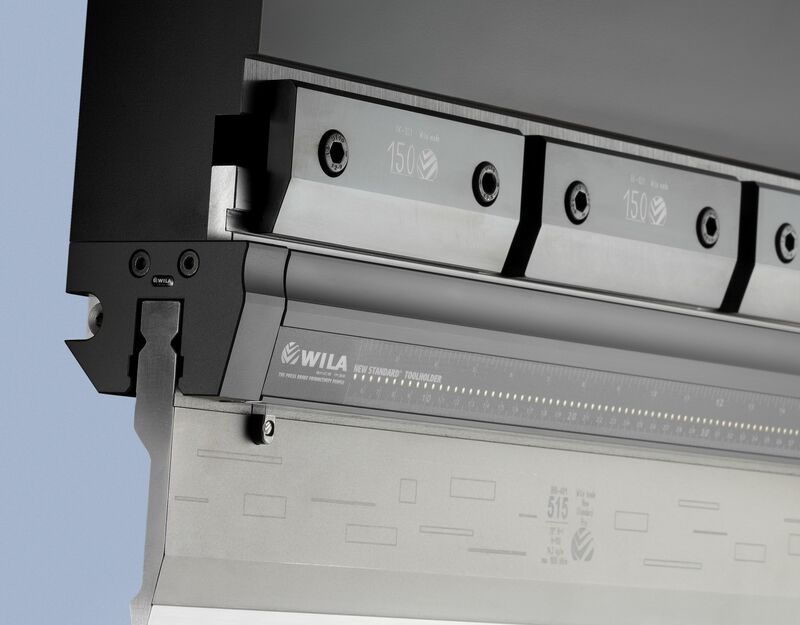 The advantage of the WILA New Standard change system is that it is compatible with all press brakes. It is also easy to install and convenient to use. Would you like to know more about the New Standardƒ tool change system? Learn more about WILA's Retrofit Program here, or send your press brake specifications to WILA request@wilausa.com and we can develop the most effective solution for your situation. Please call our Technical Sales Engineer if you have any questions: 1-888-696-9452.